You might see your teeth and gums as separate parts of your mouth. But we dentists see them as a unified biological system, each of them contributing to your mouth's various functions: eating, speaking and, of course, smiling. The teeth-gum-mouth relationship is also a factor when things aren't going well. Tooth decay, for example, doesn't suddenly appear — conditions have to be present in the mouth to cause it. The same can be said for periodontal (gum) disease or bite problems. So the best approach in dental care is to consider the whole — to first learn all we can about your mouth. We need to understand not only your current problems but also your health history and the unique features of your mouth. With this deeper understanding we can formulate a long-term plan that addresses all your individual needs. 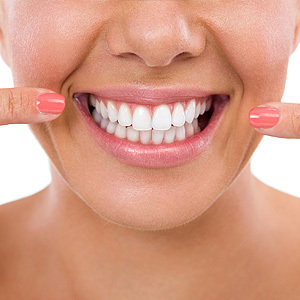 We specifically want to identify your individual oral health risks, from your genetic makeup to any past problems with dental disease or the bite. We then want to assess your current state of health: do you have any presence of dental disease? Is any past dental work failing or in need of updating? Are there any biomechanical issues with the bite or bone loss that need to be addressed? With this more complete picture, we can then prioritize your care and treatment. Some things like gum disease require immediate attention. Other areas such as bite problems or cosmetic issues may require planning and time to fully address. Our aim, though, is to eventually bring you to as high a level of health as your individual situation will permit. Once we've achieved an acceptable level of health, our aim is to then maintain that level. This includes monitoring for changes in your oral health and intervening when necessary. As you can see, establishing a care strategy is only the beginning — and care will always be ongoing. In fact, we'll need to modify your care as new issues arise or you experience the effects of aging. Our end goal, however, always remains the same — to help you achieve and keep the most healthy and attractive mouth possible.